This is the 4th Vol. 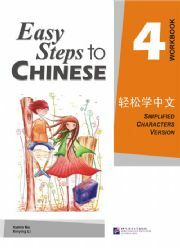 Workbook of Easy Steps to Chinese series, providing exercises closely related to the content in the 4th Vol. Textbook. There are exercises for each lesson, 5 units of reviews and tests, and the vocabulary list indexed on pinyin. 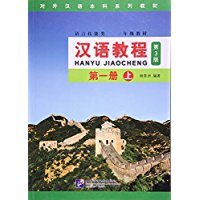 Compared with the previous three volumes, this volume puts more emphasis on the training of students’ reading and writing ability, adds more exercise types such as “Extension Reading”, “Reading Comprehension”, etc., and the brief introduction of China as well. With items like Make Sentences, English-Chinese Translation, Write Words or Sentences According to the Pictures, Reading Comprehension, Write Dialogues Following the Example, it cultivates the students’ language abilities comprehensively. New Paperback 21*27.5 cm, 190 pp.